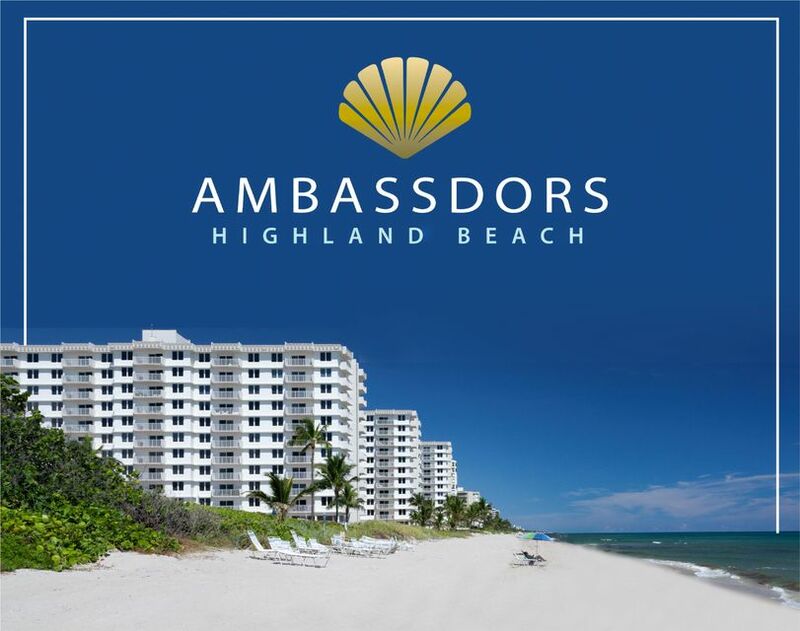 View all current homes for sale in Ambassadors, Highland Beach, Florida. Click on a listing to the view property details, photos and maps. If you would like to change or expand your search criteria, go back to the Highland Beach search page, or try using our Advanced Search. SOUTH EAST OCEANFRONT CORNER! !SPECTACULAR OCEAN, BEACH, AND POOL VIEWS. 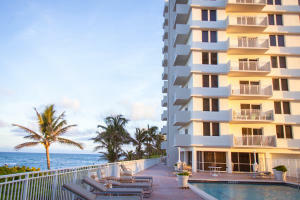 SPLIT 2/2 WITH OCEANFRONT BALCONY AND A SECOND BALCONY WITH VIEWS OF THE POOL, BEACH, AND OCEAN. GREAT COMPLEX WITH FULL SECURITY, GARAGE PARKING, EXERCISE ROOM, AND ENTERTAINMENT AREA.TENANT OCCUPIED. NEW BUYER MAY NOT RENT FOR 2 YEARS. 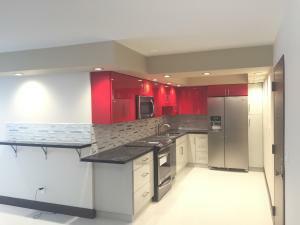 Beautiful Renovations of over 100K throughout this corner condo in recently renovated building. Enter into a spacious open dining room /living room that leads to the balcony where you\'ll watch the sunrise or evenings see sunsets and city lights. 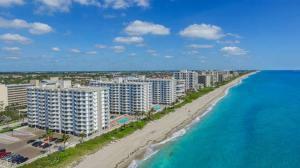 Split bedrooms with the master offering walk in closet, renovated full bath, and balcony to view city and intracoastal. Second bedroom is large with spacious closet next to second bath and large walk in storage room. Gorgeous kitchen has granite counters, under cabinet lighting and a unique window at the end to bring in the natural light. New Floors. W/D allowed. Good storage. 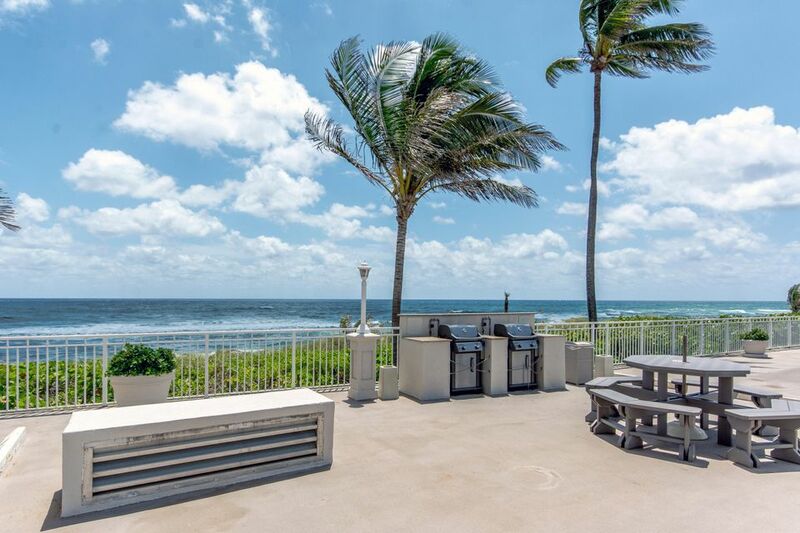 This is a must see for anyone looking to buy in Beautiful Highland Beach in an ocean front building with pools, exercise room and private beach to enjoy. Close to shopping. Walk right out on to the beach or stop at either of the 2 heated pools from this resort style property. Completely renovated, move in ready, split floor plan. Tile floors throughout with stainless appliances. Newly renovated building with impact windows and concrete restoration complete. Common areas recently renovated. Washer and dryer can now be installed in unit. It's all about the view! Enjoy heated pools directly on the Ocean and private beach. 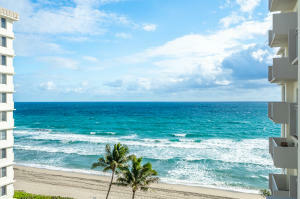 Beautifully updated 2BD/2BA Condo with a great Ocean View! 4th floor, furnished or unfurnished, Great amenities, exercise room, manned security and cameras. Building has undergone major restorations and has modern lobby, generator, bathrooms & sitting area. Ready to move-in. Onsite management and all assessments for impact windows and concrete restoration have been paid by the seller. Brand new AC unit and new carpets. Washer/Dryer Hookup in Closet and also right across unit. 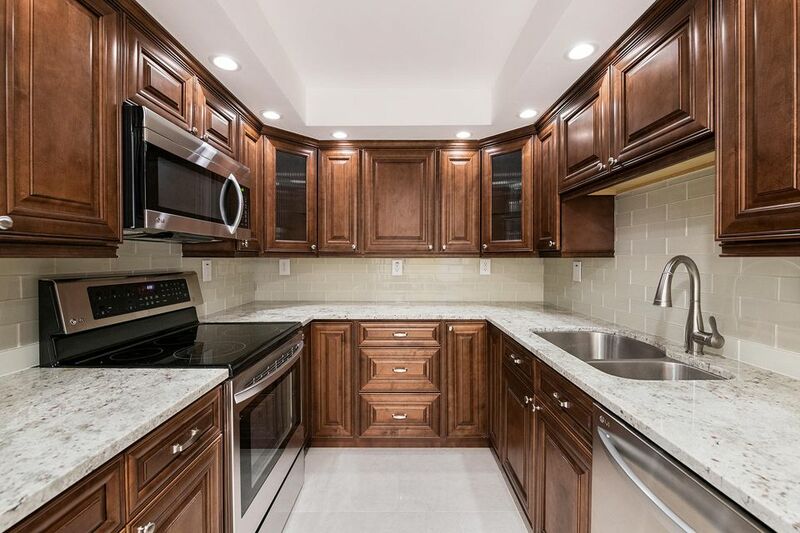 This is one of the only units that has an updated kitchen and bathroom with coveted Southern Exposure. Hurry over to check out your own piece of paradise! MLS #RX-10519786 Listing courtesy of Southeast Realty Equities Inc. CORNER UNIT WITH 2 FULL BEDROOMS AND BATHS. NICELY FURNISHED. LOVELY NEW KITCHEN AND BATHS. LOCATED ON THE OCEANSIDE OF AIA. ALL READY FOR NEXT SEASON. GREAT COMPLEX WITH EXERCISE ROOM, COVERED PARKING AND DOCKAGE AVAILABLE ACROSS THE STREET ON THE INTRACOASTAL .